Have you ever hired a limo for a shopping trip? We at Limotek.co.uk understand this can be a very special day as the women get to spend and the men get to lose some weight. We understand it can be great fun but can also very easily become stressful with queues and heavy shopping bags to carry. 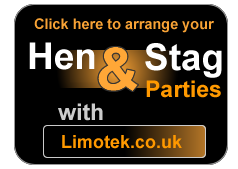 We at Limotek.co.uk offer the best limos with high quality service to help make your day as enjoyable as possible. On this day most people cannot decide where to go for their shopping trip, so we at Limotek.co.uk appreciate that there may be detours on the way. This could be the shopping trip of a lifetime, a casual day round town, a lucky person winning the lottery or just the missus getting her way. We cover the whole of the UK and are here to help make things easy and also extra special. We have access to a vast array of limousines from Lincoln limos, H2 Hummers, H3 Hummer limousines, Range Rovers, Porsche Cayenne limousines, Ford Excursions, Lincoln Navigator limousines, BMW X5s, Expedition 4x4 limos, Party Buses, Fire Engines, Chrysler C300 Baby Bentleys and even the new Audi Q7 limousines. Shopping trip limousines can be used with our stretched limousine services and we have access to over 300 vehicles all over the UK. Our limousines also come in vast array of colours such as pink, black, silver, white, gold, red and even orange; so the choice is entirely up to you. Please be aware that shopping spree limousines can be very expensive, as all our limousines are hired on a first come first served basis. This means you should contact us as soon as you are ready to book as we are more likely to get you a cheaper price. Please contact our office for limo hire for a shopping spree on 0871 789 9911 with as much information as possible as we will need to check specific details and availability. 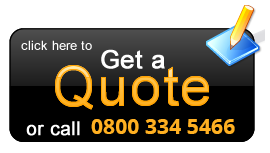 Alternatively, you can just do an online quote and one of our sales advisors will call you back within a few hours.